Several hedge fund billionaires took advantage of the sharp declines in broader market indices during the 5 hours following Donald Trump’s election victory. In this case markets wised up pretty quickly and the selloffs turned into rallies. Information disseminates very quickly in liquid markets, however, the rate of adjustment is usually slower when it comes to much smaller and less liquid markets. By tracking the hedge fund sentiment in publicly traded US stocks Insider Monkey aims to tap into hedge funds’ wisdom without paying them an arm and a leg. Historically their stock picks in small-cap stocks proved to be the most profitable. 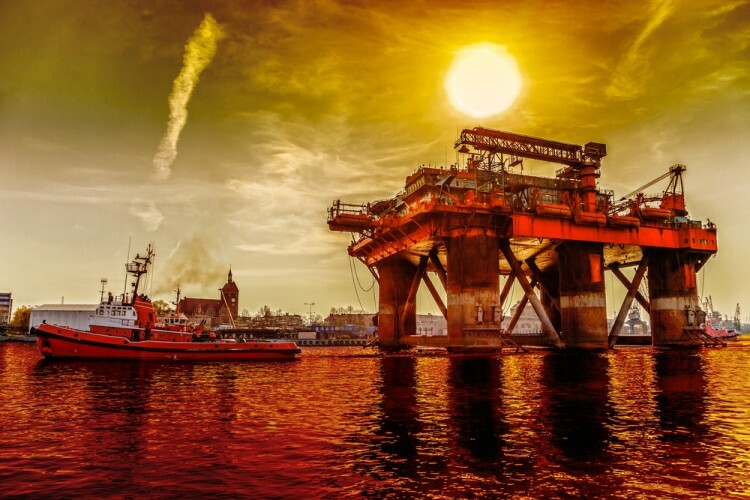 Let’s study the hedge fund sentiment to see how recent events affected their ownership of Chevron Corporation (NYSE:CVX) during the quarter. Chevron Corporation (NYSE:CVX) was in 53 hedge funds’ portfolios at the end of the third quarter of 2016. CVX investors should pay attention to an increase in activity from the world’s largest hedge funds lately. 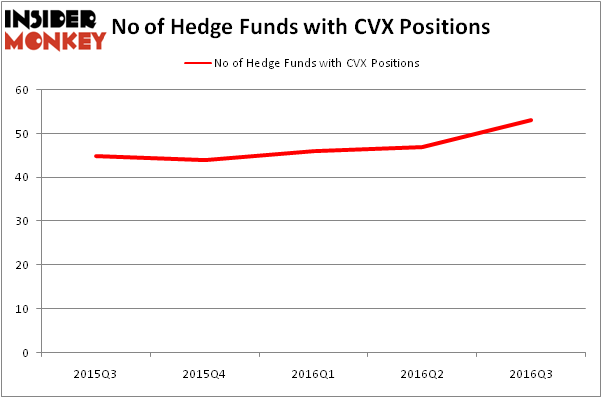 There were 47 hedge funds in our database with CVX positions at the end of the previous quarter. At the end of this article we will also compare CVX to other stocks including Alibaba Group Holding Ltd (NYSE:BABA), Novartis AG (ADR) (NYSE:NVS), and The Coca-Cola Company (NYSE:KO) to get a better sense of its popularity. How are hedge funds trading Chevron Corporation (NYSE:CVX)? At the end of the third quarter, a total of 53 of the hedge funds tracked by Insider Monkey were long this stock, a 13% rise from the second quarter of 2016, and the third-straight quarter with a rise in hedge fund ownership of the stock. Below, you can check out the change in hedge fund sentiment towards CVX over the last 5 quarters. With hedge funds’ sentiment swirling, there exists an “upper tier” of notable hedge fund managers who were increasing their stakes meaningfully (or already accumulated large positions). When looking at the institutional investors followed by Insider Monkey, Adage Capital Management, led by Phill Gross and Robert Atchinson, holds the most valuable position in Chevron Corporation (NYSE:CVX). Adage Capital Management has a $392.1 million position in the stock, comprising 1.1% of its 13F portfolio. On Adage Capital Management’s heels is Fisher Asset Management, led by Ken Fisher, which holds a $371.4 million position. Remaining peers that are bullish contain Daniel S. Och’s OZ Management and Cliff Asness’ AQR Capital Management. We should note that none of these hedge funds are among our list of the 100 best performing hedge funds which is based on the performance of their 13F long positions in non-microcap stocks.